A blowout is a great and trendy way to get incredibly lush, moveable hair without using a curling iron or wand. We’re not just talking about drying your hair at the end of a cut. 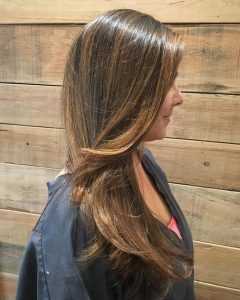 A true blowout shapes and forms you into a beautiful hair goddess while providing relaxation and rejuvenation. The best part? A good blowout can last up to a week. At Tabula Rasa Salon, we’re proud to offer blowout haircuts and styling in Charleston, SC. Blowout haircuts are becoming extremely popular in Charleston, SC and in salons around the country. Women (and men) everywhere are learning that drying your hair doesn’t have to leave you with boring results. 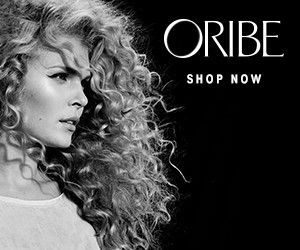 Instead, you can get curls and texture with a good blowout cut and style that doesn’t compromise the volumizing waves and height that you crave. 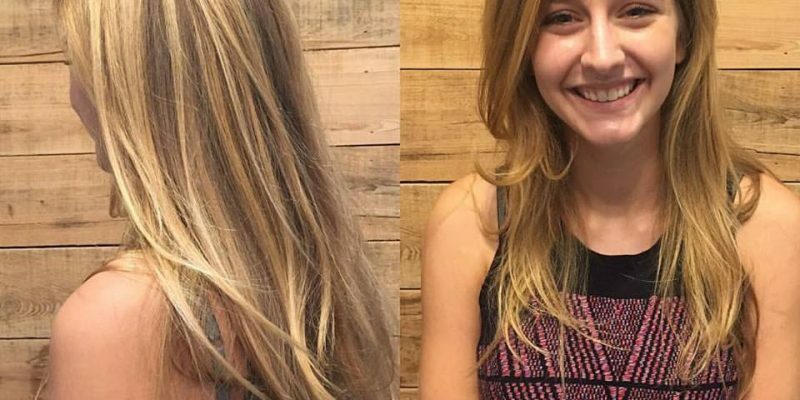 Blowouts are becoming a fun ritual for groups before they go out for weddings, bachelorette parties, graduations, and even just a night on the town. Blowouts are great for mother & daughter days as well! So how does the process work? The basic concept is very similar to a typical cut and style with a few key differences. Your hair can be cut and colored before a blowout, or you can just come in for a blowout alone. Either way the process feels amazing. Your hair will be washed with a shampoo and conditioner that’s right for your hair type, and then your hair will be blotted dry. A styling mouse will be applied to ensure you get the highest amount of volume. 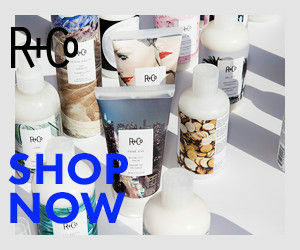 Finally, your hair will be shaped by blowing and styling sections of the hair to help create the look you’re hoping for. There are endless choices available for the perfect blowout. From sweet southern waves to bouncy ringlets, the sky’s the limit when it comes to hair perfection. You can even add braids and updos for a boho-chic look. Whatever you’re feeling, our stylists can take your hair and transform it into something you never thought possible—all while providing you a relaxing and stress-free pampering experience. Book Your Blowout Haircut & Styling Session in Charleston, SC Today! A blowout is the foundation to your perfect style. Whether you choose to curl your hair with volume or even wear it sleek and straight with a flat iron finish, the blowout is always the first step to ensuring your style lasts all night long! 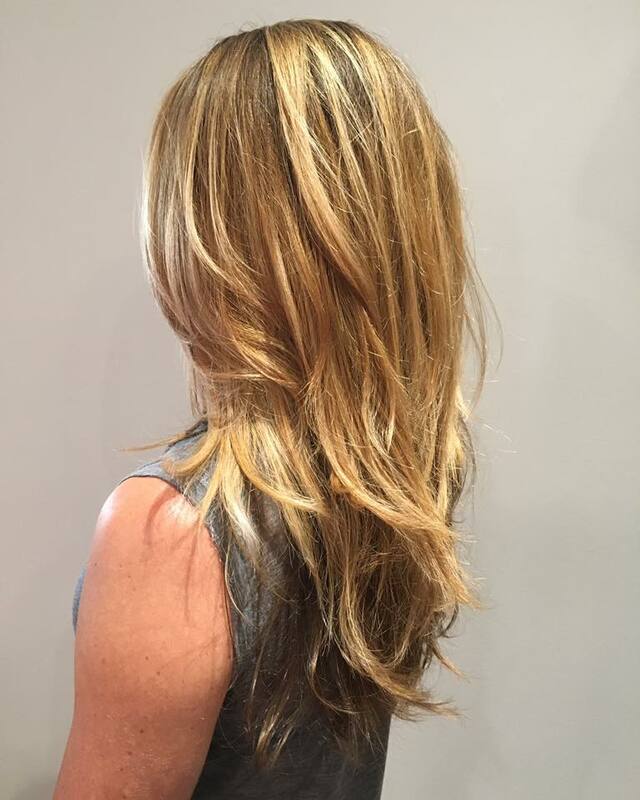 If you’re ready for your hair to reach its peak potential, book a styling appointment with Tabula Rasa Salon. Our professionals love to pamper you and will help you look your best. Visit us in downtown Charleston, SC today!